Last week, we released the results of the sixth annual CASE/Huron/mStoner social media survey at the CASE Social Media and Community conference in Miami, Florida. More than 900 CASE members provided feedback on how they are using social media. This year’s survey asked a number of new questions. View top-line findings and the conference presentation. Here are a few of my thoughts on the data, after reading through the survey results. There’s room for growth when it comes to measurement. The top forms of measurement around social media use are still number of followers/friends/connections/comments (89 percent), clickthroughs to a website (75 percent) and anecdotal evidence (55 percent). Only nine percent tie information back to a customer relationship management system. Sixty-six percent of respondents say that their institutions still do not assign engagement scores to donor or alumni. The amount of visual content used today versus three years ago has increased substantially. Study after study has shown that people are more likely to read, click and comment on visual content. According to the survey results, institutions are sharing 45 percent images and 12 percent video, as compared with 30 percent and 6 percent three years ago. That said, results also reported that institutions are still posting 43 percent text. More institutions are using social media to fundraise. According to this year’s survey, 57 percent of institutions are using social media to raise money, versus 47 percent last year. Days of giving: I regularly see videos and other announcements around days of giving at both institutions and other nonprofits. 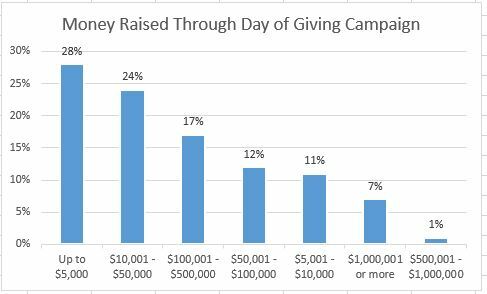 They are certainly popular with CASE members–42 percent of survey respondents have held a giving day—of these, 56 percent are seen as somewhat successful, 24 percent very successful and 4 percent a model for success. Social media ambassadors. Twenty-two percent of institutions have social media ambassadors, often alumni who are recruited to help institutions promote their fundraising initiatives on social media. Crowdsourcing. Fifteen percent of institutions have held a crowdsourcing or micro-funding campaign and 87 percent considered the project somewhat successful, very successful or a model for success. What are your thoughts on the survey results? What is your institution doing in these areas? Share in the comments.